A great start to 2018 – Highly Commended at Moneynet Personal Finance Awards! Banks Starting To Restrict Access To Credit – What Does This Mean For Borrowers? Freebies! – Things you never knew you could pick up for free or never even knew you wanted! Smart meters. Should you or shouldn’t you? TFS Loans – Red Nose Day!! TFS Loans Guarantor Hub Launched!! TFS Loans launch new website! 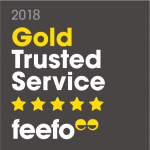 TFS Loans wins the Feefo Gold Trusted Service Award 2018!! TFS Raise £192.48 for Macmillan Cancer Support! TFS Times – 2016/17 and Beyond…. TFS see off the year in style! The Beginning Of The End For Diesel Cars? The British Summer Has Kicked In, So What To Do With The Kids When It’s Raining! Thinking of a new car this year – find out how much you can get for your old banger? 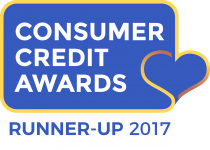 We’re Guarantor Loan Provider of the Year 2018! What Happens When You Apply For a TFS Guarantor Loan? What can I use my Guarantor Loan for? Are you able to give advice? Can I apply for a loan if I have a CCJ? Can I be a Guarantor for more than one person? Can I clear my pay day loans and other debts? Can I help pay the loan each month? Can I share repayments with my Guarantor? Can a Guarantor loan help my credit rating? Can my partner be my guarantor? Do I have to set up a Direct Debit? Do I have to use the same Guarantor? Do I need an income? Do I need to speak English to borrow from TFS Loans? Do you remind me when a payment is due? Does my Guarantor need to have the internet? Does my Guarantor need to live in the UK? Does my Guarantor need to live in the property they own? Does my Guarantor need to speak English? Does this loan show on my credit file in my name? How can I make a payment or settle my loan? How can I request a settlement figure? How is the information held by Fraud Prevention Agencies used? How many payments would I have to have made to get a further advance? How much more can I borrow? How old do I need to be to apply for a Guarantor loan? I had a TFS Loan which I paid off. Can I apply for another one? If I change my mind how long do I have to cancel? If I change my mind, how long do I have to cancel? If the borrower stops making payments, do I have to clear the loan in full? Is a TFS Guarantor Loan secured against my property? What are my responsibilities as a Guarantor? What can I do if I am in financial difficulty and I’m having trouble making my repayments? What happens if a repayment lands on a bank holiday or weekend? What if I am not satisfied with the service I have received and or wish to make a complaint? What is a Further Advance? What is the most I can borrow with a Guarantor Loan? What would happen if I couldn’t pay my loan? What would happen if I missed a payment? What would happen if neither the Borrower nor myself could pay? What would happen if the borrower went bankrupt, got into a Debt Management Plan (DMP), an IVA or passed away? When will the repayments start? Why are the funds paid into my account and not the borrower’s? Why can I not use the same e-mail address as the borrower to receive the documents? Why do I need to have a Guarantor? Why do you need details of my mortgage and property? Why do you need my bank and I.D details? Will my payments increase during the loan?